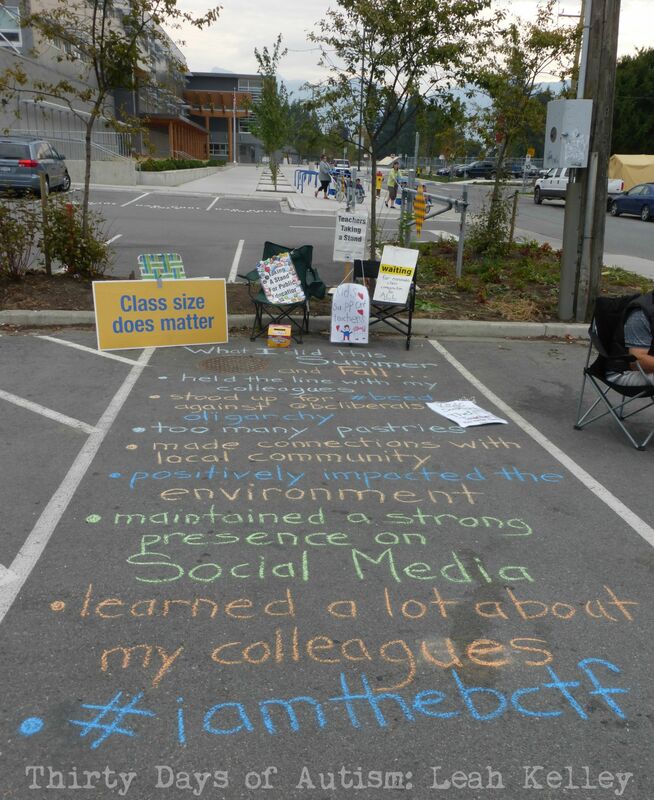 But it is better than I think we would get if we were legislated back… and I trust, respect and appreciate the work of our BCTF Negotiation Team. Whether or not the deal is a go (and I hope it is) there remains some troubling deficits in the values of this government. These have resulted in giant corresponding gaps in the health, education, and social services support systems in our province, because the corporate model does not support the kind of society that cares for ALL of its citizens. I am endlessly grateful for that… and I hope this continues to grow… in fact – I am counting on it! A ‘yes’ vote doesn’t mean capitulation. We held the line and we took this hill! This is not a surrender! Rather, it is an acknowledgment that this is the best teachers can do right now, but we still have work to do to support and fight for a fair and equitable public education, and our children’s rights to access this. And teachers need your help! • Work to shift/end intervenor status of BC Coalition of Businesses in October’s B.C. Court of Appeal review. I LOVE this last idea, put forth by a parent who suggested that families refuse to have their children participate in the FSA testing, the one that is used by the Fraser Institute to rank schools. Imagine the time gained for students and actual teaching if enough families said NO to this particular standardized test: it would add at least a week to the instructional time in our schools. Maybe the Fraser Institute would be unable to RANK schools based on these shoddy standardized tests (with their questionable and statistically unreliable results) because nobody came to their elitist party!! Now that is SOCIAL JUSTICE and collective responsibility in action!! And as a part of our collective action we need to make sure we don’t turn off the heat on Social Media. We have growing networks of people who understand the issues and want to support and protect public education. We must keep holding the BC Liberals accountable – feet to the fire (so to speak)… and we must not let them rest for a moment, with their false claims that they have calmed the seas and made things better for kids. And I trust the citizens of BC to have my back and to be there for the future of public education and the children of British Columbia! This entry was posted in Autism, BC Teachers Federation, BCTF, Christy Clark, Collective Responsibility, family, Parent, Public Education, social justice and tagged @bcliberals, BC Coalition of Businesses, Christy Clark, FSA testing, stress, struggle, teacher, Teachers' Strike 2014, The Fraser Institute, voting "yes". Bookmark the permalink. As always, your post was concise, thoughtful and impassioned. I so enjoy hearing your perspective on the world at large, and on this topic specifically. I’m proud to have helped teachers hold the line on this; the work is not over, and I’m digging in for he long haul! This one should be a letter to the editor.